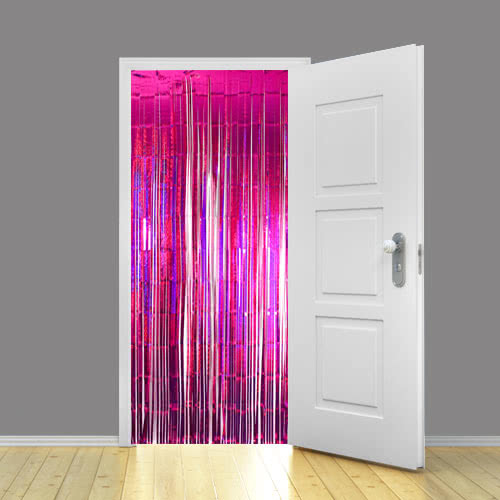 Holographic Hot Pink Metallic Shimmer Curtain 92 x 244cm – Pack of 25 Sold : Pack of 25 Approx Size : 92cm / 36Inch wide x 244cm / 96Inch drop. Material : Foil Each strand measures 10mm width. Disclaimer : Colour shades may vary from other matching items of the same colour.